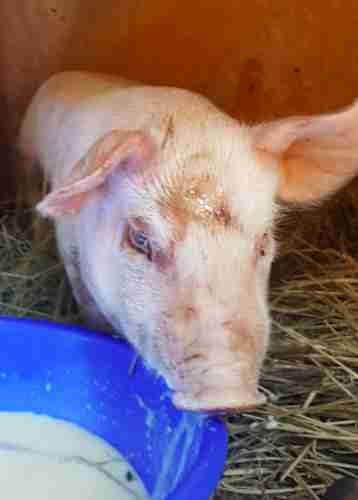 At only 5 weeks old, Raddish the piglet had been through much more than any baby should. 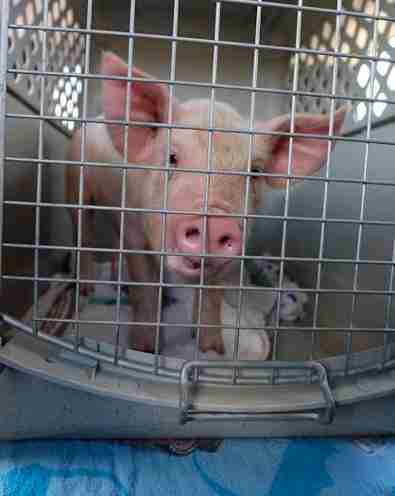 In July, the tiny pig was packed into a cramped, hot truck on the way to a farm in western Kansas, where he would have been killed for food at about 6 months old. But on the way there, he leapt from the truck and onto the busy road — changing his little life forever. A woman found him running around, covered in road rash and bruises. He was hot, exhausted and hungry. But he was safe. The woman, a local resident named Rhonda, took him to a vet right away to get him help. 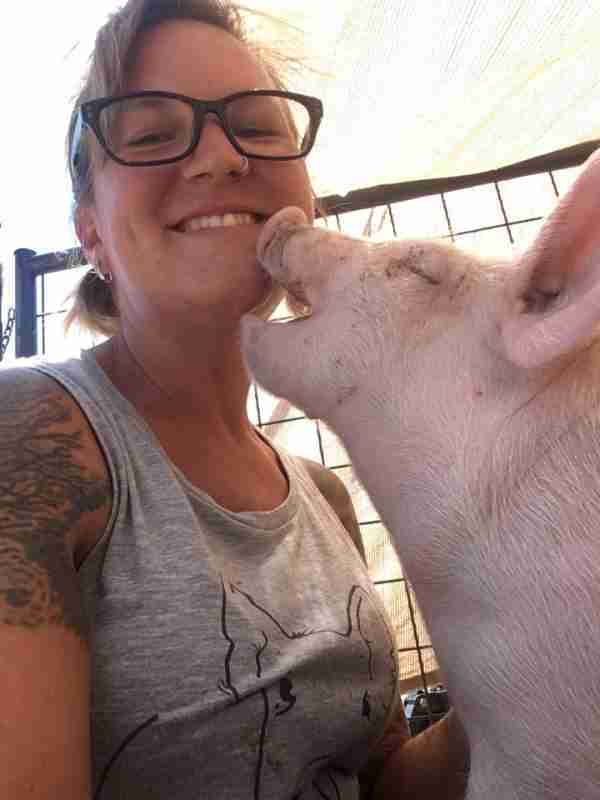 She knew the little guy had so much more life left, so she contacted Erin Brinkley-Burgardt, founder of Hog Haven Farm, a pig rescue and sanctuary based in Colorado. The bruised little piglet had come a long way in three weeks, and Brinkley-Burgardt was so excited to finally meet him. Traveling to a new place, though, was scary for him. Brinkley-Burgardt sat with Raddish, offering him belly rubs and hugs — and he just melted. He realized he was in a good place, and seemed so excited about it. 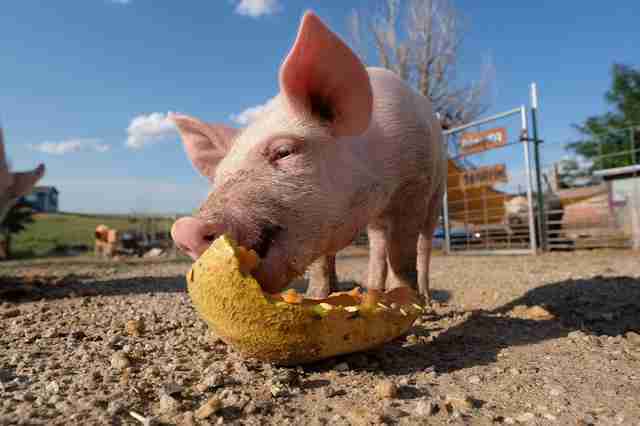 Once he got to the sanctuary, little Raddish was free to explore and meet other pigs, and got to experience tasty fruit for the first time ever. As a Yorkshire pig, a breed regularly raised for slaughter, Raddish may grow to be over 700 pounds as an adult. Luckily, earlier this week he was adopted into a forever home, by a family who will love and care for him as he grows up. 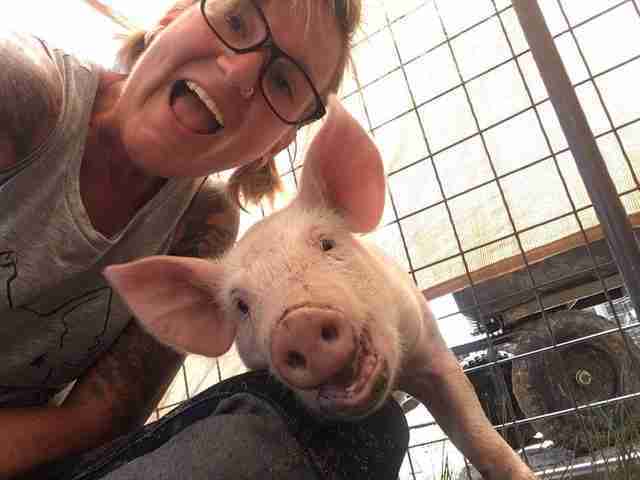 He’s living solo for now until his jaw is checked again, but soon he’ll be living alongside his new big brother, another Hog Haven rescue named Bowie, and two potbellied pigs. 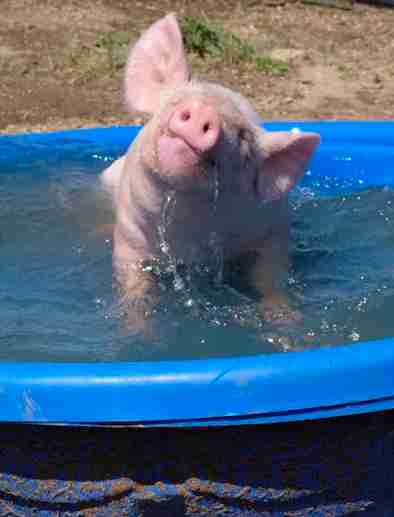 To help more rescue pigs find their forever homes, you can make a donation to Hog Haven Farm.